Avoiding surgery is possible in a lot of cases! Some health problems require surgical intervention but before you go for surgery at the advice of the very first doctor or surgeon you see, it is beneficial to consult a classical homeopath to see if your particular case can benefit from homeopathic treatment thus avoiding surgery altogether. 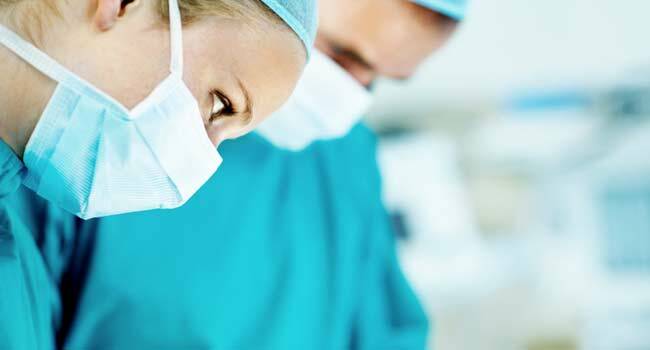 Some of the common ailments for which surgery is often performed are listed below. Most of the times these ailments can be cured with homeopathy. Remember that the right remedy which is curative in nature can alleviate the need of surgery and can addresses the problem permanently. For ailments that require surgery, if homeopathic treatment is chosen instead of surgery it’s not uncommon to see some kind of relief within two weeks of starting the treatment which indicates that you are on the way to cure. Most of the ailments listed below require approx. 12-18 months of treatment for cure. Since every individual is unique so this time can be more or less depending on each & every case. Stones can form in Kidneys, urinary bladder & gall bladder. It takes many years for stones to form and become significantly large to cause pain & other symptoms. All stones can be safely dissolved through the use of correct homeopathic remedies & sensible eating habits. It’s a long process and can take anywhere between 1-2 years depending on the stone size. The beauty of homeopathic treatment is that the tendency of the body to form stones is cured and once the existing stones are removed, they never form again. If you opt for surgery, the stones can no doubt be removed but since the reason of stone formation was not corrected, the stones will form again. Using homeopathic treatment will help you in avoiding surgery. Symptoms of Cataract include dim vision, seeing insects flying in vision etc. Cataract can be halted or even reversed with the right remedy. There are several cases in which the patients were advised surgery but they went the alternative route and were pleasantly surprised to find that the symptoms of cataract were alleviated thus avoiding surgery. Symptoms of enlarged tonsils include pain in throat, fever, loss of appetite etc. In children, enlarged tonsils can hamper the growth and affect their academic performance. Most of the cases can be cured with the right homeopathic treatment thus avoiding surgery. Symptoms of enlarged adenoids include blocked nose, cough, sleep apnea etc. In children, enlarged adenoids can hamper the growth and affect their academic performance. Most of the cases can be cured with the right homeopathic treatment thus avoiding surgery. Warts can grow anywhere on the body and instead of removing them surgically, the cause of warts should be removed with the right homeopathic treatment. This will not only remove the warts but prevent new ones from growing. Plaque deposition in the arteries can cause blockage which can lead to heart attack and stroke. If you have a family history of heart problems due to plaque deposition, you may be able to beat that genetic predisposition with the right homeopathic treatment. For those persons who are lucky enough to find out early that their arteries are partially blocked (less than 80%) and would require heart by-pass surgery or stent placement (angiography/angioplasty) in near future, they have the option of trying the homeopathic treatment to dissolve the plaque in the arteries thus avoiding surgery. The homeopathic remedies also assist in developing the collateral arteries which develop around the blockage to supply blood to the starving areas of the heart. The rate of dissolving of plaque can be evaluated by doing an ultrasound test known as CIMT (Carotid Intima Media Thickness) before the homeopathic treatment and a few months after the treatment. Another non-invasive test of getting to know the condition of plaque deposition in your heart is by doing a heart CT scan known as CT Coronary Angio. This test exposes you to x-rays but provides a very good picture of how things are inside your heart. A lot of women undergo the removal of their uterus (hysterectomy) due to several reasons ranging from fibroids, tumors, thickness of lining etc. Most of these problems can be addressed by the right homeopathic treatment. Go to our home page for details of the many options available to you if you want to avoid a surgery.